Oh, gentle readers, do I have a story for you. It’s a story of attempted murder, an international manhunt, incompetent criminals—and yes, beer. The year is 1865; the place, Toronto. Alexander McKinnon runs a bookshop. In July, he decides to advertise for an agent, and eventually hires a man named George Gustaff. So far, so normal. Until you realize that Gustaff and his pal, known only as “Davis” are passing themselves off as doctors and running practices. 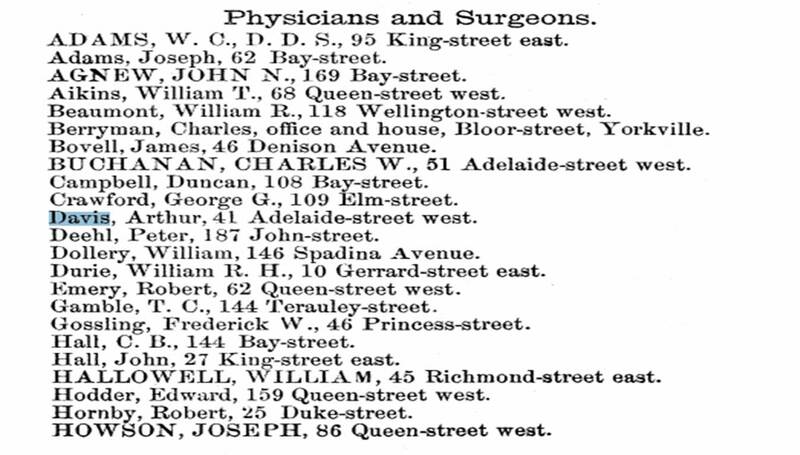 They’re often seen around town together and known as “Doctors Gustaff and Davis.” Although it seems Davis might be a slightly more legitimate doctor—there is a listing in the 1865 Toronto City Directory under “Physicians/Surgeons” for an Arthur Davis, living at 41 Adelaide St. East. This is right at the corner of Bay and Adelaide, which tallies with a witness statement later on in this story. I’m getting ahead of myself. Point is, Gustaff and Davis are using their medical reputations to buy drugs without suspicion. 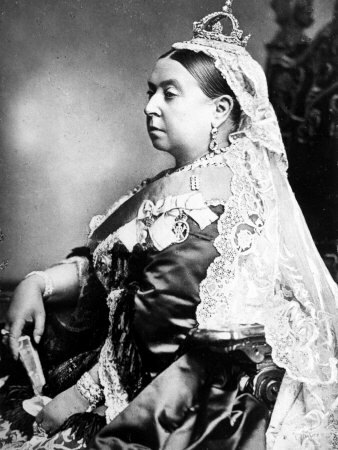 So in September 1865, Gustaff invites McKinnon to the London Exhibition. McKinnon says no. Then Gustaff invites McKinnon on a fishing trip, suggesting that “[McKinnon] should bring the eatables and he should bring the drink.” McKinnon declines this invite as well. Fast-forward to October 3rd. 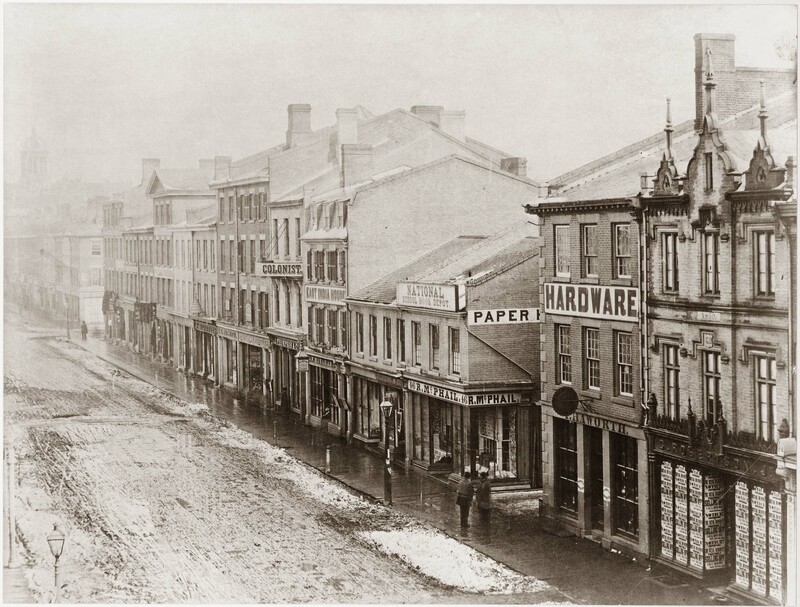 Gustaff and Davis go to Brummel’s druggist on King Street East and purchase some Prussic acid. You may know this chemical better as hydrogen cyanide. It is colourless, smells of almonds, and it is extremely poisonous. And apparently used in nineteenth century medical practice. Gotta love those Victorians! McKinnon says sure, so Gustaff runs off and comes back a short time later with a bottle and a tumbler. 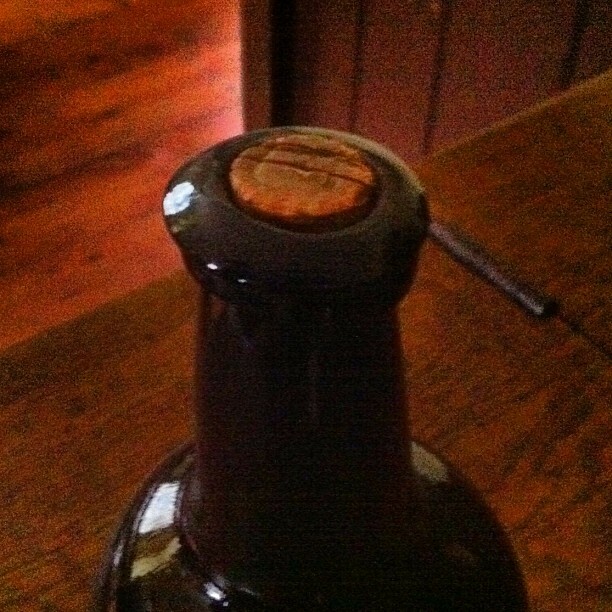 The bottle’s cork won’t come out, so they break the bottle’s neck (which was a legit method back then), spilling most of the beer on the floor. “Have a glass,” Gustaff says, twirling his mustache diabolically. “No, no, I insist.” Mustache-twirling intensifies. Not the good kind of bitter, either. Immediately, he feels dizzy. Suspecting he’s been drugged, he tries to run down the stairs, but collapses insensate at the bottom. Davis and Gustaff clean out the bottle and then pass directly by him, heading off for a celebratory drink at Gregor’s saloon. It just occurred to me that nowhere does it say whether Gustaff and Davis actually stole the money after poisoning McKinnon, or if they abandoned their mission. In any case, McKinnon comes to, his stomach burning. 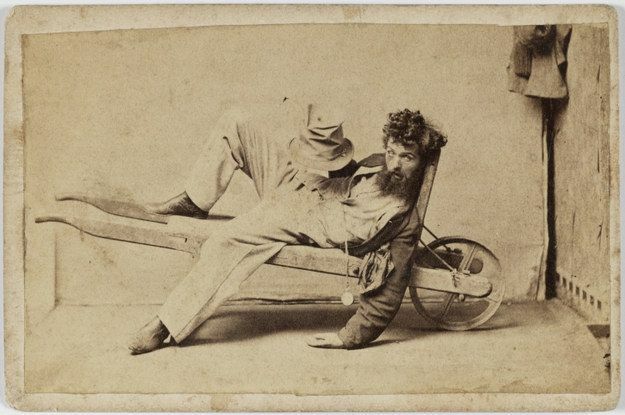 Pretty much everyone assumes he’s drunk, but he manages to drag himself to the Sergeant-Major of Police. There, he explains that he’s been drugged with poisoned beer. Like this guy, but worse! A manhunt ensues! Davis remains in the city, but Gustaff flees to the United States, apparently leaving luggage and unpaid hotel bills will-nilly behind him. By the end of the year, he’s arrested by J. Eustacio, of the New York Metropolitan Police. And to top it off, Gustaff has been going under the alias Dr. Swift. Gustaff might itself be an alias. He’s not in any census records. But wait! This is happening in the US now! To face trial in Canada, he must be extradited back to that country! “Case under the Extradition Treaty,” The Globe, December 1st, 1865. After a little finagling (the American judge wasn’t wholly convinced of the legal authority of the first batch of papers), Gustaff is extradited on February 6th, 1866. He’s first arraigned on March 22nd, 1866, but two witnesses don’t show (of course), so the trial is postponed until April. Like, people are pretty sure he did it. Apparently, he went around to several people in the weeks before the poisoning, boasting that if he killed a certain man, he’d get $200. He also bragged about possessing a certain acid, “…one drop of which would kill a dog or cat; two drops, a man.” AND he talked about his failed attempts to lure McKinnon on a fishing trip. He’s not really very good at this. Plus, Robert Johnson, barkeeper at Gregor’s saloon, testifies that at 2:00 the afternoon of the attempted murder, Gustaff bought a bottle of ale “tightly corked, without either foil or wire.” (At that time, it was common for beer bottles to have a wire hood to help hold the cork in place, similar to what you see on champagne bottles today. In this specific incident, it’s a historical detail that makes me entirely too happy.) At the same time, he bought a glass tumbler. 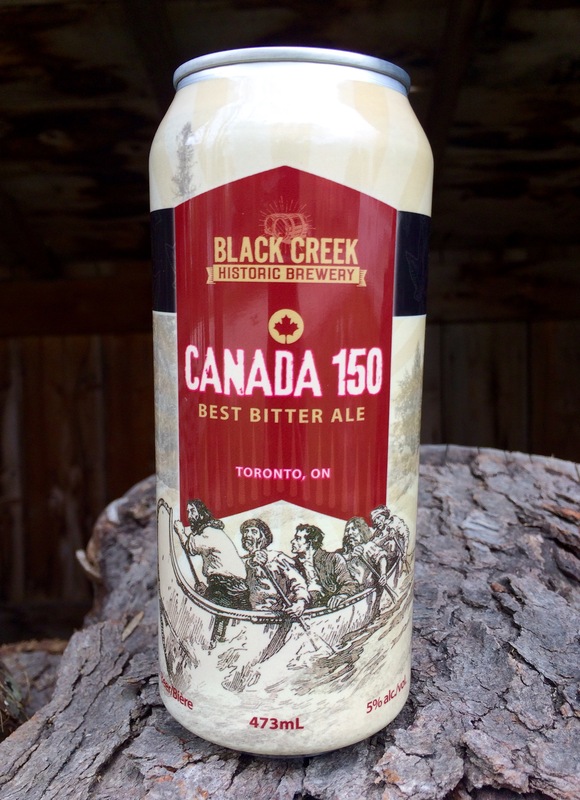 Corked ale bottle from Black Creek’s collection. Note the “blob top,” very characteristic for bottles of this time period. So the trial doesn’t really focus on whether he put something in McKinnon’s beer, but rather, what that something was. If it was really hydrogen cyanide, the defense asked, wouldn’t McKinnon have smelled it as soon as he raised the glass to his lips? And if Gustaff really put a full drachm (roughly a teaspoonful) in McKinnon’s beer, wouldn’t that mouthful have proved fatal? 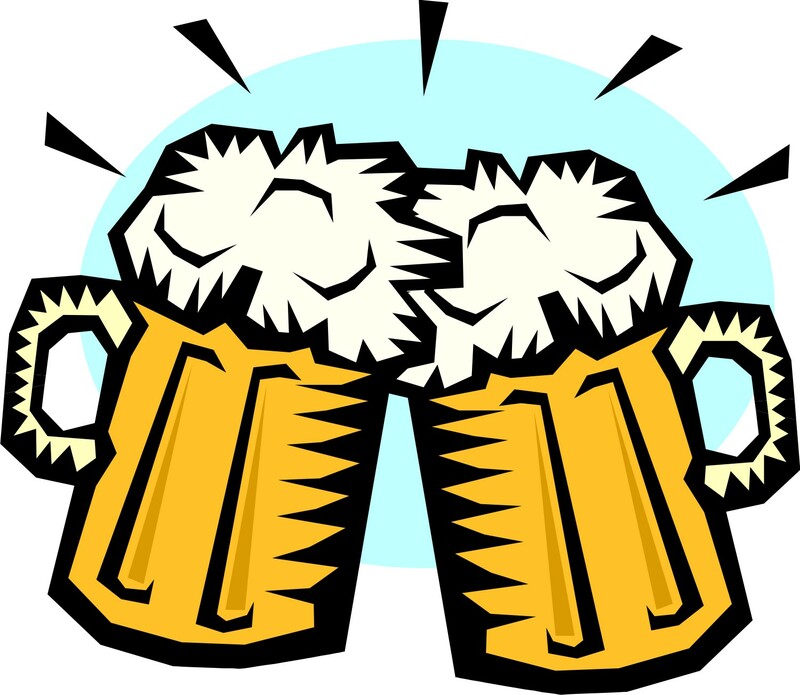 The beer’s alcohol might have impeded the poison’s efficacy, the prosecution argued. Same for the apple McKinnon had eaten shortly before. You know what they say: an apple a day keeps false, murdering doctors away. Or something like that. 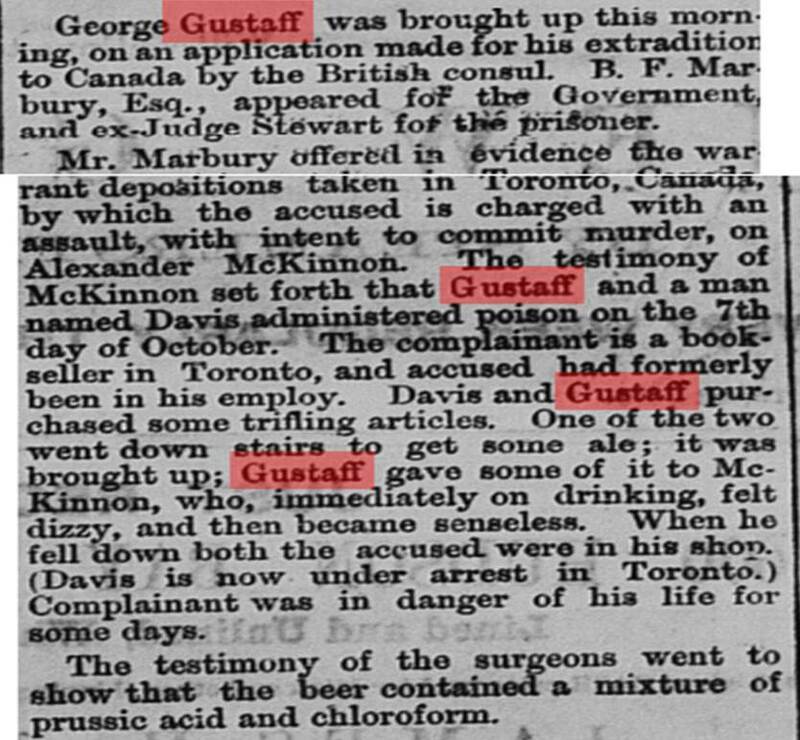 Anyway, to the surprise of exactly no one, Gustaff is found guilty and summarily sent to Kingston Pentitentiary. “York and Peel Assizes,” The Globe, May 1st, 1866. And that, my friends, is such a Victorian response that my vision just turned sepia. So there you have it: a case of attempted murder in 1860s Toronto that centered on a glass of beer. To embark on such crime, Gustaff must have been an… (wait for it, wait for it) Extra-Special Bitter. On a slightly more serious note, this thrilling tale marks my final entry for the Black Creek Growler. Since 2013, it has been a wild ride. We’ve had some good ales, shared some good tales, and I’ve loved every sip of history. Thanks for everything, beer-lovers. You’ve been wonderful companions on this journey. Also, the specialty brew for December is our Winter Warmer (amber ale, coriander and orange peel notes), and the brewery closes until spring on December 23rd, 2017.